Top 5 iPhone Apps for your car – Be Mobile with BMOB.com! Yes, we all know that using a phone while driving is dangerous but this isn’t about using the phone to talk or text. Those of you with an iPhone are probably well aware of its capabilities and features, both inherent and through the numerous applications that are available. Why limit your iPhone’s capabilities to music and GPS and 3G capabilities when you can optimize your car and driving experiences with some apps that are designed keeping motor vehicles in perspective? The first application we are going to look at is not only free but also helpful in maintaining the environment. Each time you turn on the ignition, you are leaving behind a carbon footprint that might take years to erase. With Carticipate, you can avoid that and the best part is save money as well! Carticipate is a specific social networking tool that connects people who are looking for a ride or are willing to give one. Once the app is installed in the iPhone, users can look for other Carticipate users around the current location who are waiting for a ride or offering one. There are currently several ride locations specified and with the app being international, anyone in the world can use it anywhere! How many of us have forgotten where we parked our car? How many of us have been fined for expired parking meters? Well, with the Parking Meter application for you iPhone, you will not have to worry about either of those again. Once you’ve parked you car, the application will record the exact position using GPS, and lets you make a note of the surroundings and even take a picture. The app has a link with the maps so you can track your car if you cannot recall where you’ve parked it. Another useful feature in the app is the parking meter. There is an option to set a reminder before the meter runs out but this works only if the app is running. However, you can choose to get an SMS or an email, even to multiple accounts! 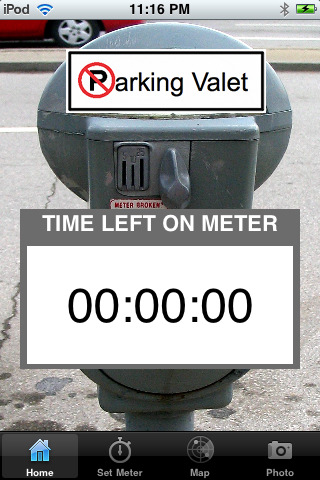 Parking Meter is available for download from the iTunes store for $1.99. 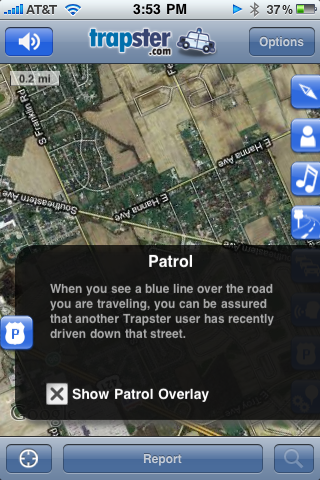 Trapster lets you use your iPhone as a warning device against speed cameras. Install the Trapster app on your iPhone and keep it running while you are driving and it will give out warnings about both red light cameras and speed cameras. This is useful especially on those freeways where there is a drastic drop in the speed limit. The best part of this app is that users are free to report a new camera as soon as they see one. There are several web based services that do the same but this is more efficient as users can update the new locations instantaneously. While the app is extremely useful to avoid speeding tickets, it is rather annoying at times. For example, whenever a speed camera is in radius, the warnings are continuous and as you move, your position isn’t centered on the screen but it is continuously redrawn. Apart from these minor bugs, it is definitely an app that will save you money on the street and best of all, for free! 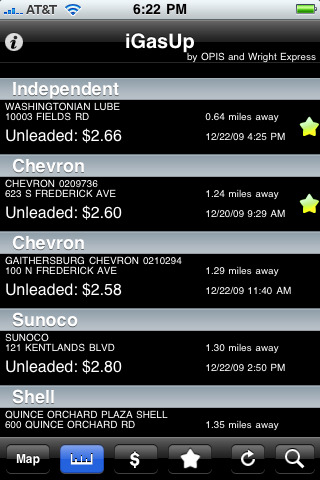 Owning a car is expensive and gas prices today don’t help much. With iGasUp, you can use your iPhone to save money wherever possible as far as gas stations are concerned. iGasUp collects the data regarding gas stations and their prices around your home or wherever you are and lists them according to either cost or distance. There’s a map mode too if you need directions on getting to the gas station, but there are a few glitches, the major one being that some zoom levels on the map can’t be held. However, it is still worth $2.99, which along with the yearly priced update can be made up from with the savings from cheaper gas stations. There is a free alternative but the data is inconsistent and is usually flawed. 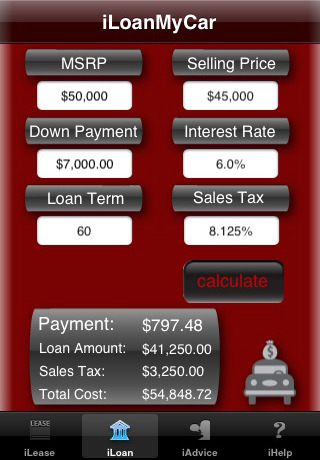 With a new app, iLeaseMyCar, your iPhone can advise you on the finances of purchasing a new car or leasing one. While it doesn’t shortlist the best loan options, it does give you the optimum interest rates available in the market. The tabs such as iLease and iLoan make the app very easy to use. Additional features such as a savings calculator will definitely help users make a more informed decision but for now it is useful, especially for those who may not always be in WiFi range. The app sells for $0.99 on iTunes. There, with some or all of these apps, your iPhone just became the best friend your car can ask for. Stay environmentally friendly, offer carpools, manage fuel costs and finances and even avoid speeding tickets with your iPhone. Of course, as far as the last one goes, we do not encourage speeding and we suggest not using your phone at all while moving.